Charles Mfg. was founded in 1982 by Warren, Ohio native Dave Frazier, a Mechanical Engineer and Manager at U.S. Steel Corporation. At that time, nontraditional fuels were increasingly being used for home heating but fireplace safety standards had not kept up with the alternative energy movement. There was a need for specialized venting products to improve both safety and efficiency. Our first fireplace fabrication was patented in 1983. In the beginning, Charles Mfg. produced and sold U.L. Listed sheet metal chimney products using highly accurate CNC fabrication equipment. Excess capacity led to a major manufacturing contract with General Motors Packard Electric. Fabrication of components for commercial lighting retrofit projects. 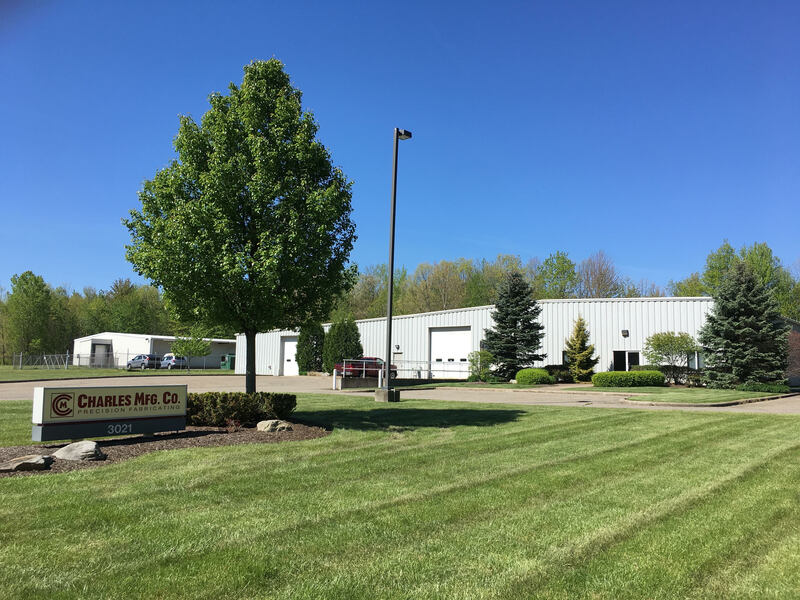 Supplied parts to a subsidiary of First Energy Corp.
Additional growth and expanded metal fabrication capabilities led to a new production facility in 1994 and a doubling of that space in 2004. Today, Charles Mfg. sees connectivity and the IoT (Internet of Things) as the key to providing greater metal fabrication value to customers. Advanced shop floor technology and real time reporting deliver production efficiency and high quality parts at the lowest possible cost.